Building a tiny home can be a complex process with many small details and decisions that will ultimately affect the overall quality of the home. Enter Rewild Homes, a tiny home building company founded by Patrick Whelan and Jessica Reid in Nanaimo, Canada. 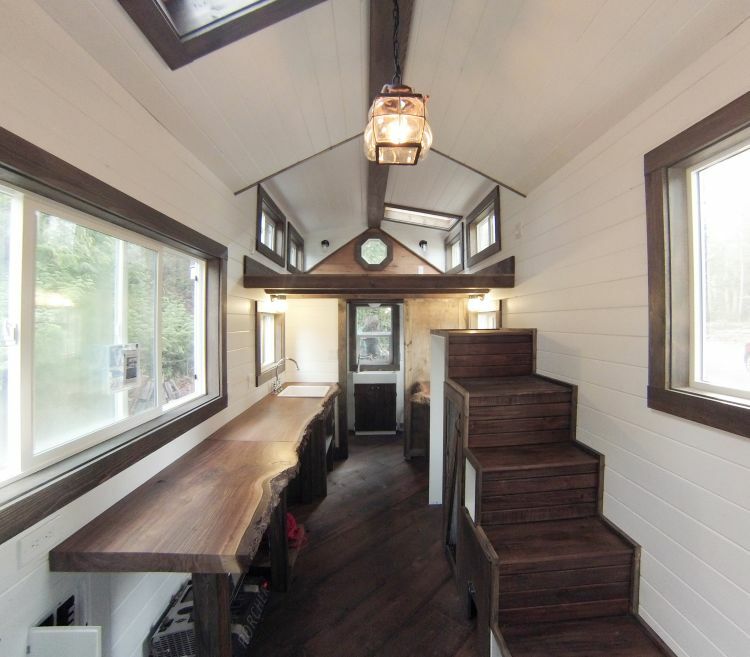 The expert builders at Rewild offer many services, including tiny home trailers, shells, and finished homes. We recently interviewed the team at Rewild to get their insight into building toward smaller living. 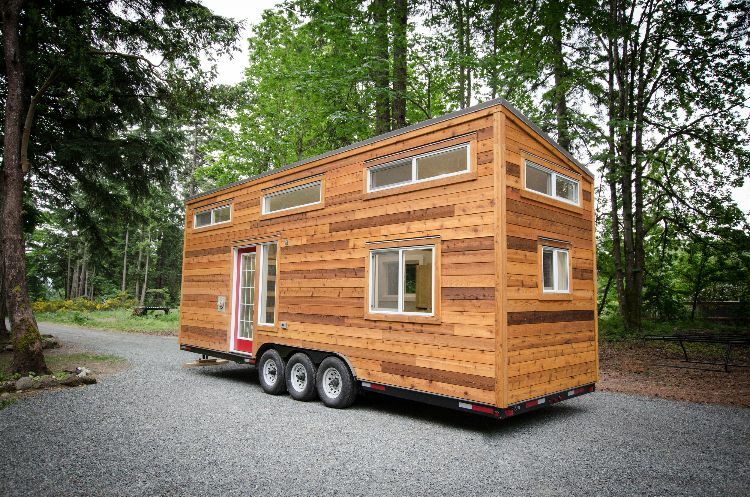 What makes you stand out in the tiny home market & what are you known for? Our core team consists of three people: Patrick Whelan, owner and operator; Jessica Reid, co-founder and graphic designer; and Thomas Braden, project manager, and systems developer. Patrick: Our genuine passion for the movement and the people set us apart – each one of us is currently working on their own personal tiny home to move into in their spare time, so we truly live and breathe tiny homes. Thomas: Definitely our completely custom builds. It’s a lot more work to do everything custom with a lot more hoops to jump through, but it’s so exciting to see the variety of designs and personalization that people come up with. Jessica: I’d say our client relationships. We really do everything we can to work within people’s dreams – and within their budget. Patrick: Since our homes are all custom, the sky is the limit to the models that we offer (within reason of course). We build both shells and fully finished homes, so the price range varies a lot. 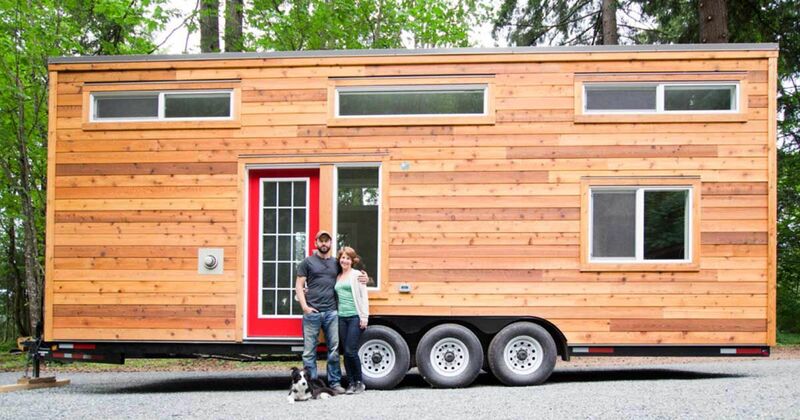 We’ve built shells for as little as $18,000 and finished tiny homes for over $100,000. Most of our homes tend to sit around the $50-70,000 mark. Jessica: Our most popular home so far has been the Whiskey Jack, which was inspired by the hOMe design from Tiny House Basics. 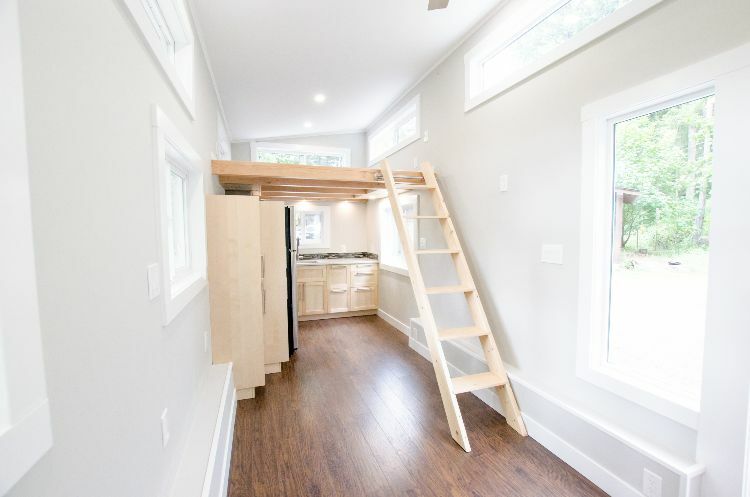 The interior looks more like an uptown condo than a cabin - I think it surprised a lot of people to see that tiny homes don’t always have to look woodsy. Patrick: Yes, definitely the Whiskey Jack. The granite countertops and smooth gray walls made it look so clean and modern. I think that style appeals to a lot of people. Thomas: Well, we’ve developed a new framing system specific to tiny homes which decreases weight substantially while increasing strength. Patrick: Yes, lots of people build tiny homes just like regular homes, but there are so many differences! We are presented with new challenges every day – problem solving is a huge part of the job. For example, maximizing interior width in mobile tiny homes while staying under exterior widths has been a challenge in some areas, and one of those areas is proper roof ventilation without overhangs and soffit. We’ve come up with some pretty innovative solutions. Patrick: Do your research. Foresight is key. Take the time to talk to a professional and don’t be afraid to ask for help. Plan your layout, pick your appliances, and make sure to figure out what building regulations apply to your area. Planning ahead with regards to gas/propane installation and appliances will save you a ton of headaches. Thomas: Hire a proper electrician to do your wiring. This is the one area that we highly recommend not doing yourself – spend the money and hire a professional. The wiring is literally the most important aspect of the home that could put you and your belongings in jeopardy. We encourage people to contact us even if their not planning to have us build their home, just so we can point them in the right direction for their systems planning. Jessica: Yes! All of us are working on building our own tiny homes on the side (check our blog for updates soon! ), and we all currently live in renovated travel trailers as an adjustment period. We’ve all learned so much about cleanliness, acceptance, clutter, and what truly drives “happiness.” Going from a 3 bedroom, two story house to a 20’ long trailer was not as hard as you might think. My favorite part about living tiny is the freedom! Cleaning the house is a breeze, and getting rid of all my excess stuff has made me appreciate the things that I have even more. We also spend a lot more time outside, even though we were all outdoorsy to begin with. Now we have outdoor movie nights, al fresco dinners, and a lot of BBQing! Thomas: You don’t have to compromise as much as you think. There’s a lot of stigmas attached to living in a “trailer," but honestly, you can have (almost) everything in a tiny home that you would in a full-sized home, for a fraction of the cost. It’s all about being innovative and finding solutions!